Russian note features Element 101-Mendelevium, named after Dmitri Mendeleev, who organized the periodic table as we know it. 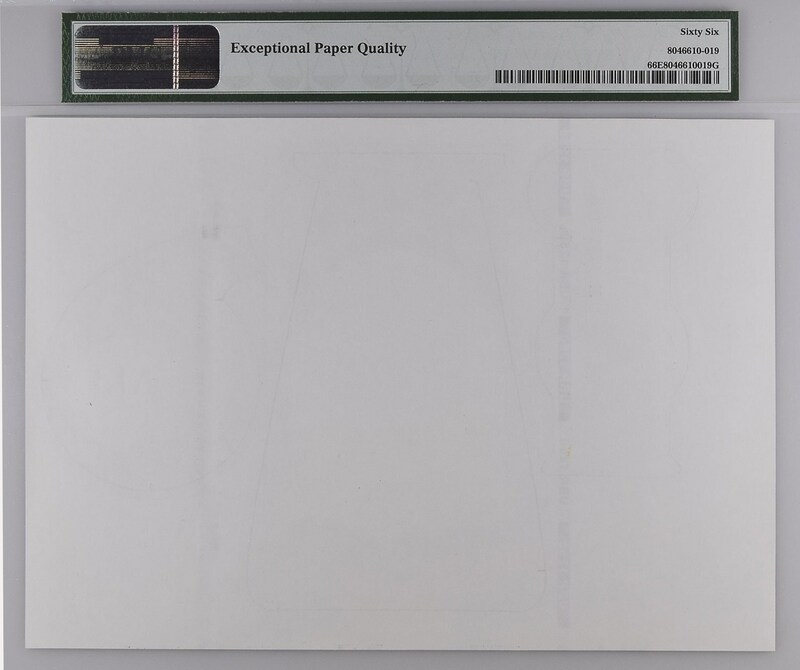 Catalog Number: Not listed in the Standard Catalog of World Paper Money. This specific note is a test note printed by the Russian print house Goznak. 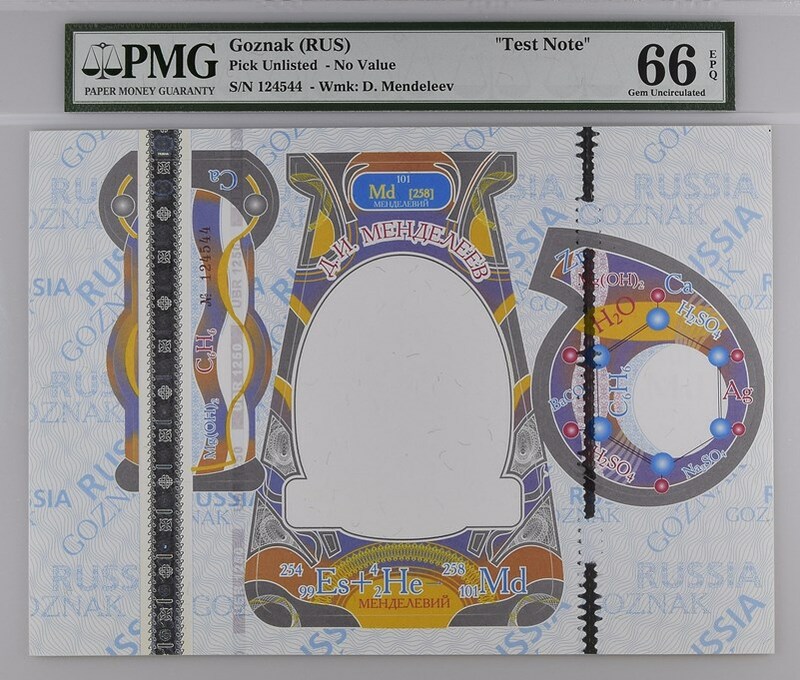 Varieties: There are other test notes that feature Dmitri Mendeleev, but this is the only type that PMG has seen. What makes it special? The United Nations has declared 2019 the Year of the Periodic Table. Why is it interesting now? 2019 also marks the 150th anniversary of Mendeleev first publishing the periodic table as we know it. Since its formulation, the table has grown to include more than 100 elements! Did you know? Element 101-Mendelevium is named after Mendeleev. He never won the Nobel prize because of an alleged dispute with the Nobel brothers. Sales highlights: These will occasionally pop up on eBay for around $80 raw. PMG Registry: No sets have been started.